Why cacao bean is a Superfood? Superfood is a term used to describe food that contains high phytonutrient content that may confer health benefits as a result. 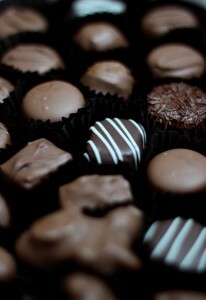 When cacao bean is mentioned, are you thinking about including dark chocolate? If you have heard about health benefits that are related with consuming dark chocolate, but you wonder how “candy” can be beneficial for you, a closer look at cacao beans can clarify things. Cacao beans are the seed of a fruit that grows on the cacao tree. Cacao trees originated in the Amazon basin, and they will only grow in a very warm, moist, shady environment. Cacao beans were so highly valued by ancient Mayan and Aztec civilizations, they were used as money. Cacao beans are naturally sugar free and taste somewhat bitter in their raw form. Anti-oxidants – Research indicates that cacao beans are one of the richest natural food sources of antioxidant flavonols available. They play an important role in protecting against cell damage and may reduce the risk of some types of cancer, and promoting healthy cholesterol levels in the body. Polyphenols – Studies indicate the polyphenols contained in cacao beans may improve insulin sensitivity, which may help to lose weight. Serotonin, dopamine and phenylethylamine – these three neurotransmitters that are associated with promoting a healthy mood and positive mental state. 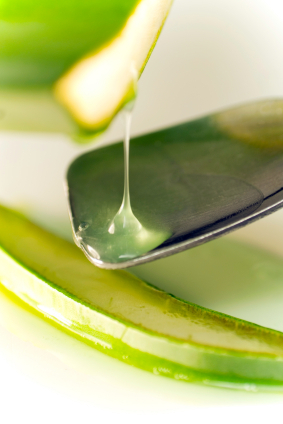 Aloe Vera, also known as the medicinal aloe, is a species of succulent plant that is probably originated in Northern Africa, the Canary islands and Cape Verde. Aloe vera is an amazing plant with a wide ability to aid in the healing process, to protect, moisturize, and even extend life. It was used in ancient times for medicinal purposes, and its usefulness continues to grow as scientists study its properties and possible application. It is full of minerals, vitamins, and amino acids. There are many of the vitamins in the plant such as calcium, sodium, iron, potassium, chromium, magnesium, manganese, copper, and zinc, which are not produced by our bodies, but are necessary for optimum functioning. 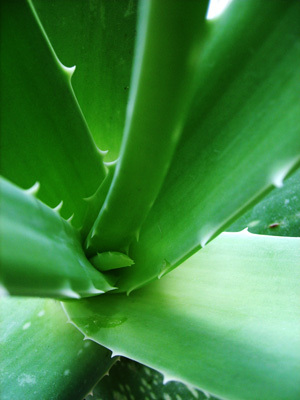 The Aloe Vera plant provides beneficial minerals that aid in creating firm skin that allow the skin to look healthy, youthful and radiant. Ingestion of the plant may also help regulate digestion. Many vitamins and nutrients are provided through consumption. This is helpful in many ways by soothing arthritis pain, especially with mobility and joint flexibility. Drinking Aloe Vera juice everyday helps you to stay healthy and fit, and to have healthy and glowing skin. Please click here for Aloe Vera juice recipes. Besides, making Aloe Vera facial mask by using Aloe Vera juice and Aloe Vera gel is another easy, fast and inexpensive way to keep your skin radiant. Please click here to find out how to make it. For some women, their skin care regime involves washing their face in the shower with whatever is handy, be it a bar of soap or shampoo. Although this certainly is effective in removing any dirt and oil from your pores, it does as much damage as good due to its inappropriate chemicals or pH imbalance. Everyone, female and male, should have a skin care regime. The first step in any skin care regime is cleansing your skin, which is very important if you want to maintain a healthy, vibrant and youthful looking skin. 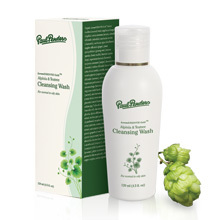 Therefore, it is essential to purchase a cleanser that is specifically designed for your skin type. There are cleansers available for oily, dry or combination skin. I have combination skin with oily T-zone. About a month ago, I changed from Rosemary & Calendula Cleansing Milk to Alpinia & Teatree Cleansing Wash as I found the previous cleanser a little too oily for my skin. Alpinia & Teatree Cleansing Wash is a light, foaming facial cleanser with plant-derived ingredients to gently remove surface dirt and impurities. The natural antibacterial action of Alpinia extract and essential teatree oil gently but effectively cleanse normal to oily skin, while helping to normalize sebum production and reduce blemishes. 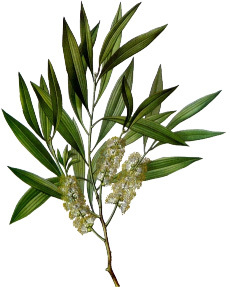 Both Alpinia officinarum (Lesser galangal) and teatree oil are the main acne fighting agents in this cleansing wash. Surprisingly, my skin has improved significantly as it looks more radiant now with barely any existence of acne and pimples. Although the first usage left my skin a slight burning sensation, the subsequent washes make my skin feeling fresh and oil-free. Then, I follow by Whitening Aqualuna and Juniper & Yarrow 24 Hour / Moisturizer. I would suggest those with combination or oily skin to begin their skin regime with Alpinia & Teatree Cleansing Wash, and Rosemary & Calendula Cleansing Milk for those with dry skin. You wear sunscreen every day, don’t smoke, and spare no expense on skin creams and potions. But despite your best intentions, you may still be making errors that can lead to premature aging. Here are five common skincare blunders to avoid. People with dry skin often think exfoliating can help by sloughing away flakes and dead skin cells. But over exfoliation can make dry skin worse by impairing your skin’s ability to hold onto water, making it look dull, lifeless and older. I’ve seen patients exfoliate so much they get a rash that feels like sandpaper! Some skin types are oily in summer and dry in winter. This is because there is less water in the air in the winter and skin can easily become dehydrated. If you have oily skin, don’t assume you should use an oil-free moisturizer all year–or that you can go without. 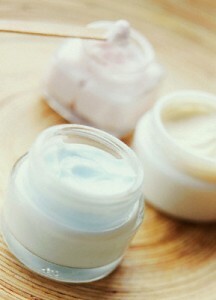 Instead, use a serum or lotion when your skin is oily and switch to a richer cream when it’s dry. People love the tight, tingly feeling they get after using foaming cleansers and bar soaps, but that feeling just means your natural lipids have been stripped away, leaving your complexion parched and more prone to premature wrinkling. I love organic products, but when it comes to retinoids and sunscreen, nothing can replace a chemical formula. There’s no natural alternative to retinoids like Differin and Atralin, and they’re the only products proven to diminish existing wrinkles. Organic sunscreens are just not as effective as their chemical counterparts, especially if you’re going to be in the sun for prolonged periods. So my advice is to use an organic cleanser and moisturizer, but until better sunscreens and anti-aging treatments hit the market, stick with the nonorganic for now. Some ingredients are not compatible. For example, neither retinoids nor hydroquinone should be used in combination with glycolic acid, which renders them inactive. And you can only use hydroquinone and retinoids together if they’re in a specially formulated product. All of these ingredients fight signs of aging and sun damage–but you have to use them correctly to get results. Dr. Baumann authors a twice weekly Yahoo Health blog at http://www.skinguru.com/ that has over 3 million readers and a twice monthly column in the Miami Herald. Lemon essential oil is extracted from the Citrus limonum (also known as Citrus Limon), which is from the Rutaceae family and is also known as cedro oil. Lemon oil is extracted through cold compression and it has a very fresh, sweet and citrusy fragrance that smells pleasant. The native evergreen tree of India grows up to about 6 meters tall and has dark green oval leaves with pink or white flowers that are strongly scented. The tree was brought to Europe by the Crusaders in the Middle Ages and the fruit contains high level of vitamin A, B and C – an ounce a day was given to sailors in the Royal Navy to alleviate scurvy and other vitamin deficiencies. In Japan, it is a popular flavouring agent in food and perfumes. Lemon oil is calming in nature and therefore helps in removing mental fatigue, exhaustion, dizziness, anxiety, nervousness and nervous tension. It has the ability to refresh the mind by creating a positive mind-frame and removing negative emotions. It is also believed that inhaling lemon essential oil helps in increasing concentration and awareness. Lemon essential oil promotes sleep and helps those suffering from insomnia. Lemon oil has high vitamin content and therefore it helps to increase the immunity of the body. It further stimulated white blood cells and thus increases your ability to fight diseases. Lemon oil also improves the circulation in the body. Lemon oil is effective against infectious diseases such as malaria and typhoid. It cam also help bring down fever, relieve throat infections, asthma and fever. Since lemon essential oil is carminative, it is used in treating various stomach problems including indigestion, acidity, stomach upsets, cramps, etc. Lemon oil is also effective as a hair tonic. 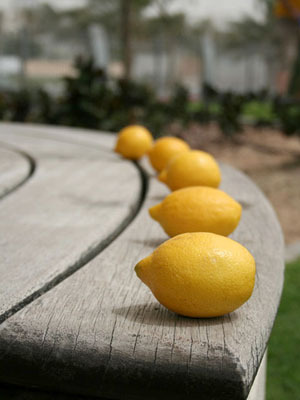 Many people use lemon essential oil to get strong, healthy and shinning hair. Lemon oil is also used for removing dandruff. Avoids overweight: Lemon juice is very helpful in reducing weight. Avoids tiredness: Lemon essential oil is refreshing and stimulating and increase the circulating. It is helpful in removing mental as well as physical tiredness. Aroma Thyme.com provides a list of essential oil recipes that not only include lemon essential oil, but also others like Rosemary, Lavender and Tea Tree. Try these wonderful aromatherapy essential oil recipes for your body, mind ans spirit.